Johnston & Daniel is a full service law firm with offices in Millbrook and in Gulf Shores, Alabama. 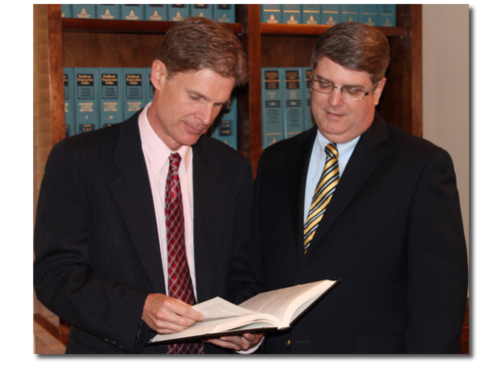 Mr. Johnston and Mr. Daniel are each licensed to practice throughout the state in both the state and federal courts. Our firm’s mission is to provide high quality legal services with integrity, professionalism and respect for our clients, our community, and our colleagues. (3) RELIABILITY – to personally attend to our clients’ individual concerns and needs, including answering or returning each client’s telephone calls on a prompt basis, and providing individualized focus and attention in obtaining the timeliest and best possible result for the client. Whether you need legal advice or expert representation, Johnston & Daniel, Attorneys and Counselors at Law, will help you navigate and resolve the complexities of your individual issue or problem.